After a major accident, you likely want to get the medical care you need and get back on track with your life as quickly as possible. Fortunately, that’s what your insurance is for, right? You should receive a settlement that covers your needs so you don’t have to worry about your expenses. Unfortunately, it’s not always that easy. Insurance companies are for-profit businesses, which means their top priority is protecting their profit margins. As such, you might be in a situation where you’re wondering what to do when the insurer is ignoring your calls. 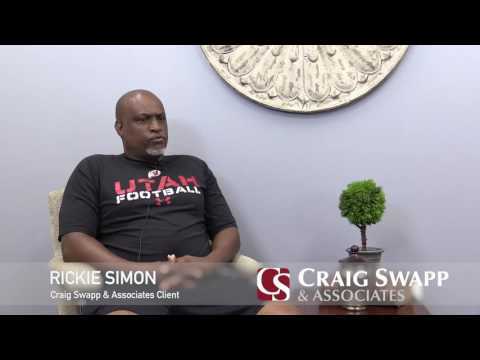 With a lawyer from Craig Swapp & Associates on your side, you can expect help dealing with unprofessional insurance providers. We will represent you throughout each stage of the claim process and ensure you aren’t taken advantage of. Continue reading to learn more about combatting a silent insurance company. When the insurance company is refusing to hear you, it might be because they’re trying to leave you feeling desperate. You have a limited time to file an insurance claim, and if you need to take your claim to court, you could have as little as two years to do so. That means you’ll need to push the insurance company to acknowledge you. Contacting them directly with a demand letter can help. This letter should include information about why you’re filing a claim, the extent of your damages, and how much you should receive for those damages. Your lawyer can help you calculate these damages, both economic and non-economic. In some cases, the insurer will continue to ignore you, even after sending a demand letter. This type of inaction falls under what’s known as acting in bad faith. In this case, you might need to take the insurance company court to recover your damages. Speak to your lawyer about suing your insurance company. Because they were acting in bad faith, they didn’t give you a fair opportunity to recover a settlement for your suffering and a judge can order them to pay out every penny they owe you for your losses. You should have some opportunities to recover after an accident. In fact, your insurance company should be responsible for your injuries and for ensuring you have the compensation to cover the treatment of those injuries. Unfortunately, they’re not always so kind. Insurance companies often try to use your words against you, respond slowly, or not respond at all. These tactics are meant to scare you into accepting a low settlement or even accept that you might not get a settlement at all. When this happens, you’ll need someone who knows what to do when the insurer is ignoring your calls.You’ll need the help of an attorney from Craig Swapp & Associates. If you’re struggling to deal with your insurance company, reach out for help. Our attorneys understand how difficult it can be to recover, and we’ll help you fight back, beginning with a free consultation. Call us at 1-800-404-9000 or fill out the online form below.